Fri., July 6, 2018, 2:48 a.m.
There’s nothing like water to relax you: the repetitive sound of waves, the rocking of a boat, the hypnotic gurgle of a flowing river. 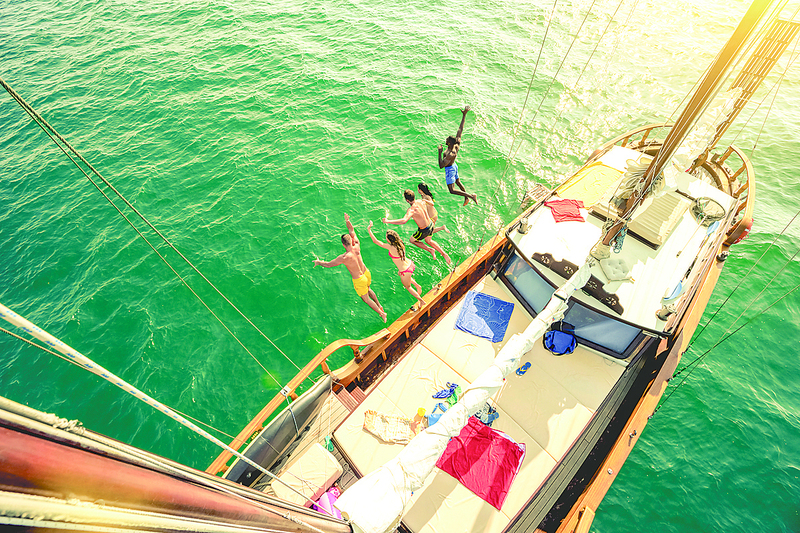 Your favorite strain of cannabis can further intensify these experiences, but don’t get caught boating under the influence (BUI) or even using pot on the water as a passenger. Smoking, eating or drinking infused marijuana products should be considered a no-go on any navigable waterway. “It’s in open view of the public, so no, that is illegal,” said Spokane County Sheriff’s Department Marine Deputy Jim Ebel. He’s the county’s full-time patroller of area lakes and waterways, and is joined by other part-time deputies. Washington law prohibits the operation of a vessel while under the influence of any drug or liquor. In this state, a BUI is a gross misdemeanor punishable by a fine as high as $5,000 and up to a year in jail. Law enforcement officers with probable cause can ask boat drivers to submit to a blood test. If a boater refuses, he or she will automatically be fined up to $1,000 and officers will usually seek a warrant to have a blood test taken at a hospital. The legal limit for boating under the influence of marijuana is 5.0 nanograms. Ebel says the legalization of recreational marijuana in the last five years hasn’t increased the number of BUI arrests in Spokane County or the rest of the state. The majority of the boating infractions he writes are for children not wearing life jackets or other lesser offenses. Neighboring Kootenai County marine deputies also haven’t seen a noticeable impact of boaters coming from Washington and using marijuana on Idaho waterways, or Idahoans partaking. OUI is the Idaho version of a BUI, referring to Operating under the Influence. Either a blood or urine test can be used to determine what, if any substances, are present. Idaho currently has no laws specific to boating under the influence of marijuana, but state law says that a person convicted of operating a vessel while under the influence of any drugs or alcohol will be subject to a fine of up to $1,000 and/or a sentence of six months in jail. They may also be required to complete a boating safety course and lose the privilege to operate a boat for up to two years. Idaho authorities can also cite people for possession of paraphernalia if they are discovered to have pipes, vape pens or similar cannabis smoking devices. But don’t let your stash make you too paranoid. Officers in both Washington and Idaho don’t pull boats over just to see if the driver might be high. Ebel agreed that citations don’t generally come from random stops. Once you are pulled over, law enforcement will look for various signs to determine if someone is boating under the influence, similar to a road field test. And don’t think that, just because you’re in a boat that doesn’t have a motor, you’re safe from BUI charges. Kayaks, canoes and rafts all count as vessels under the law. “You can still be under the influence even if you’re rowing,” said Ebel. BUI arrests can get tricky based on logistics. Once officers arrest or cite someone suspected of BUI, they have to find a sober friend or relative to drive the boat to shore, trailer it, or find a safe place to tie it up. Ebel says he and other marine deputies spend more time on the water performing safety checks and educating boaters than issuing infractions. “We write only a fraction of the tickets the guys on the roads do,” he said. Published: July 6, 2018, 2:48 a.m.